Wild Plum Farm is home to pastured pigs - for sale as pork shares and roasters. At Wild Plum Farm it's our mission to produce happy bacon. To that end we breed and nurture heritage Tamworth pigs on the wide open spaces of northeastern Washington pastureland. Located in the remote Methow Valley, Wild Plum Farm is home to a drift of 60+ Tams. Our pigs are raised in open paddocks and fields, free of antibiotics, hormones and other un-necessaries. They are fed varied pasture, hydroponically sprouted barley fodder, free choice apples, alfalfa and oat hay and the occasional bakery treat. 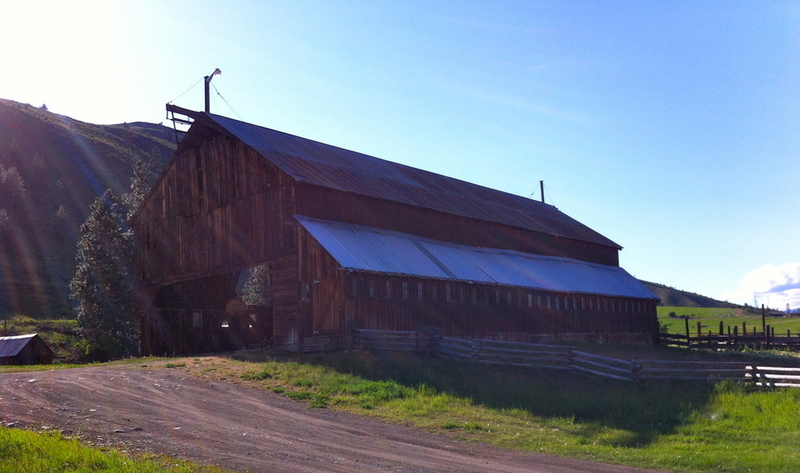 Built in 1927 as a "modern dairy plant", our barn is listed on the Heritage Barn Register. Restoration efforts were supported by grants from Washington Trust for Historic Preservation.